Google has launched Google Social Search on Labs, allowing you to check out relevant public content from your friends and contacts when you search. Mindful of Twitter's real-time search, blogs and social networks, Google has decided it's high time that you can search the public data given out by your social and professional circles. "A lot of people write about New York, so if I do search for [New York] on Google, my best friend's New York blog probably isn't going to show up on the first page of my results, said Google's blog post. "We've taken steps to improve the relevance of our search results with personalisation, but today's launch takes that one step further. "With Social Search, Google finds relevant public content from your friends and contacts and highlights it for you at the bottom of your search results. "When I do a simple query for [New York], Google Social Search includes my friend's blog on the results page under the heading "Results from people in your social circle for New York." I can also filter my results to see only content from my social circle by clicking "Show options" on the results page and clicking "Social." 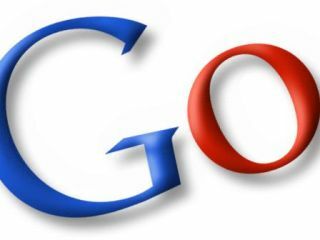 Google is at pains to point out that the social search only looks at publicly available data. "The way we do it is by building a social circle of your friends and contacts using the connections linked from your public Google profile, such as the people you're following on Twitter or FriendFeed. "The results are specific to you, so you need to be signed in to your Google Account to use Social Search. If you use Gmail, we'll also include your chat buddies and contacts in your friends, family, and coworkers groups. "And if you use Google Reader, we'll include some websites from your subscriptions as part of your social search results."